Winter weather can be frightful. Already this season, parts of Ontario have received record-breaking snowfall, leaving homeowners and motorists stranded for days. Now is a good time to consider taking a few precautions to keep your pets safe during what promises to be a blustery winter. Chemicals: Store household chemicals dangerous to pets in a pet-proof cabinet. When using these products, make sure your pet cannot gain access. Clean up spills immediately. Antifreeze, for example, smells sweet and animals attracted to it might swallow it. Food and Water: Ice and snow are no substitute for water. Give your pet a steady supply of clean drinking water — especially if they stay outside. Food can also become trapped in dishes as snow melts and refreezes. Make sure your pet has access to fresh food and water. Bang on the hood of cars: Many animals, including cats, sneak up under car hoods to get the benefits of residual heat from the engine. Before starting your car, make some noise. Bang on the hood or honk the horn. The noise gives animals a chance to get out. Parked cars:Vehicles lose heat rapidly providing pets little protection from the cold. Animals left in parked cars can suffer from frostbite and hypothermia. 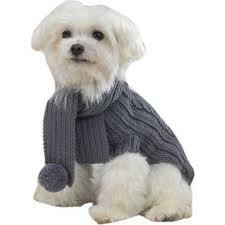 Lesser amounts of cold can be extremely painful if the animal is older or has arthritis. Leave your dog at home instead of locked in your car in a mall parking lot. Paw pads: Products used to melt road ice can get onto your pet's paws. This can lead to dry, cracked feet, which makes walking painful. . Animals may then lick their sores and ingest various chemicals from the roads. Clean your pet's paws after a walk. Boots and barrier protection creams are another option. Keep fur between your pet's pads trimmed short to keep ice balls from getting trapped between their toes. Thin Ice: Snow can cover thin ice and animals are unaware of the dangers that lie beneath. Cover any backyard ponds or pools. When on walks, use a leash and keep animals off bodies of water such as ponds, rivers and streams.